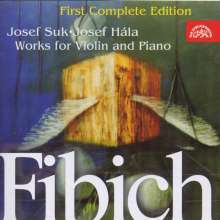 Der Artikel Zdenek Fibich (1850-1900): Werke für Violine & Klavier wurde in den Warenkorb gelegt. 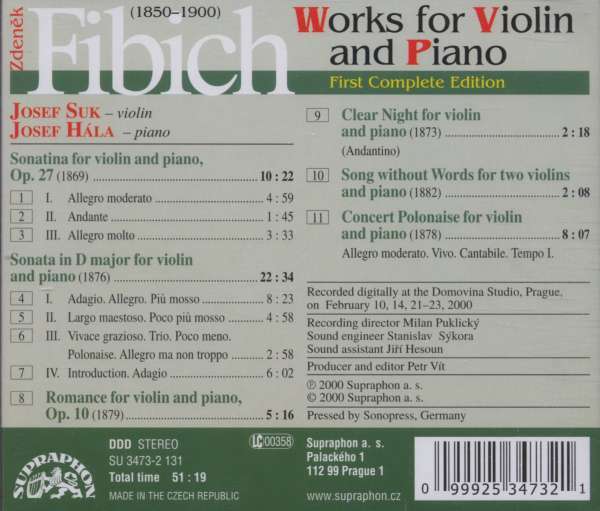 This year´s double anniversary of protagonist of Czech national music Zdenek Fibich (born 150 years ago; died 100 years ago) is being marked by violinist Josef Suk, in collaboration with pianist Josef Hala, by this first complete recording of the composer´s works for violin and piano. 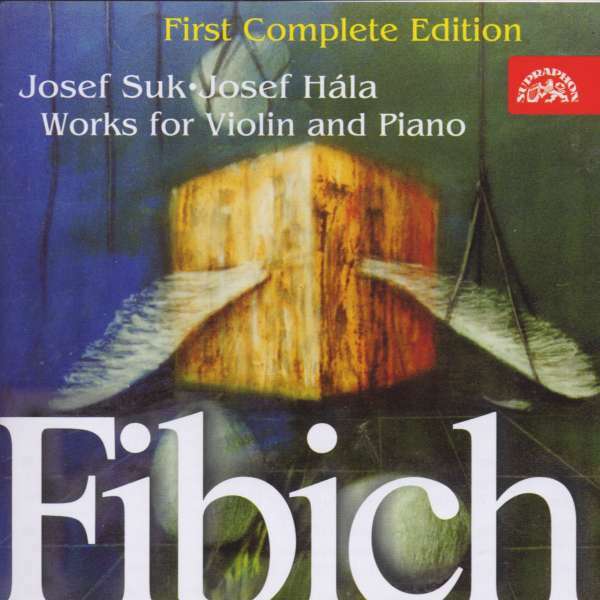 A legend of the domestic and international concert platforms, Josef Suk has deployed his sophisticated art here totally in the service of Fibich´s compositional legacy. Thanks to the immaculate interpretation, these pearls from the treasury of Czech music reach music-lovers for the first time in such utterly grand shape. N. Hornig in FonoForum 4 / 01: "Das altbekannte Duo Suk / Hala wird den Werken vorbildlich gerecht. Suk ist ein Urmusikant; er weiß genau, wo der rhythmische Impuls und die Phrasierungsschwerpunkte liegen. Entsprechend klar teilt sich Fibichs Musik mit. Ihr zu lauschen, macht Freude."